How to stamp on a budget! 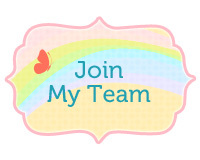 Would you love to start stamping, but feel you can not afford another hobby? Here are some tips to help you stamp on a budget. Decide if you want to stay in one color family or more than one. Coordinate your purchases by color. Look at ways to get more out of your cardstock: a) After cutting your cardstock or designer series paper layers, die cut shapes out of the center of any layers that will be covered by another. Not only will you have some die cuts for a future project, but no one will ever know that you used the center of a layer. b) Tie a bow BEFORE cutting the ribbon, thread, or baker’s twine off the spool. You won’t waste as much! c) If part of a die cut will be covered, let the framelit or thinlit hang off the edge of the cardstock or paper and cut a partial die cut. d) Punch shapes from cardstock scraps. e) Use left over ribbon scraps to create a design on a project. Store your cardstock and Designer Series Paper in file drawers or another dark area. Sunlight and heat are paper’s worst enemies! If your state has an annual back to school sales tax break, take advantage of it to stock up on adhesives and other items that may be covered. Remember, when you are making a card, you are saving money instead of going out and buying one. Most decent cards run from three dollars and up. Also you have your gas mileage to take in consideration. So, make your own for one dollar or a real great one for about two dollars. You are saving money this way. I finally got around to trying the new Shimmery White embossing paste in this Occasion Mini Catalog that opened in January. Loving embossing paste, it was one of the first things I ordered. Well, only recently I got around to opening it and playing. I have been like a kid at Christmas that received to many toys and did not know what to play with. With this great Hostess Benefit that is going on with Sale-A-Bration where with a $250 order you receive a bonus of $25 extra above your hostess credits when you have a qualifying party. With all of my orders, being a demonstrator that I received, I hosted my own parties and got loads of new toys. Hard to find time to play with all of them since you have a tendency to get stuck on one set (favorite toy for the time). Oh My, Oh My, the hardships of being a Independent Stampin'Up Demonstrator! I chose to use some Bermuda Bay re-inker mixed into the embossing past. You only need two or three drops. Then, I used the brick stencil and applied the Shimmery embossing paste onto white cardstock. This only takes a few minutes to dry. In the meantime I stamped the tennis shoes and head phones on white scrap cardstock. The set is from the Sale-A-Bration set Epic Celebrations. I fussy cut these out. By then, the embossing paste was dry. I stamped the greetings in Real Red ink. The shoe were attached with dimensionals. The head phones were glued on. The little stars were from the Epoxy Embellishments. The card is mounted on Bermuda Bay cardstock and then on to a Real Red card. This was a fun card to make. 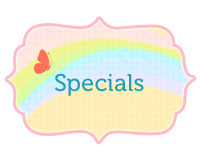 The Epic Celebrations is a Sale-A-Bration set which will not be available after March 31. 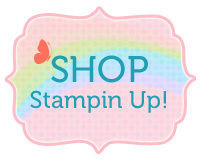 All items making this card can be found in the Stampin'Up store. Just click on "Shop Now" on the right hand side. I hate to see Sale-A-bration end. We only have six more days. This is one of my favorite sets, Amazing You. You can get the set with a $50 purchase or get the bundle including the set and the Framelits with the words with a $100 order. These are free for you to choose with your qualifying order. As some of you know, Black, Red, and White is one of my favorite color combinations. The flowers were stamped in black on the white cardstock. The word you was stamped above the flowers. The word "amazing" is cut out using the framelit in black cardstock. The white is mounted on red and the card is black. The center of the flowers are the Faceted Gems in clear and I painted the red using the Stampin'Blends. You still have six more or until March 31 to get in on the once a year, Sale-A-bration sale that Stampin'Up has. Just go to shop now and place your $50 merchandise order and select your favorite free set. How to Cure A Creative Block. When you can not come up with an idea for a card or scrapbook page, pull out a card sketch for your layout. Then all you have to do is decide on your cardstock, colors and which stamp set you want to use. Bingo, your card is finished! This Sketch can be a jumping point for your creativity. You can create your card exactly with elements in the sketch or you can make adjustments to the orientation, move the elements or add more details to your card. Card kits, you have to love them! This is the contents of the kit, I added Fast Fuse adhesive. This shows how I adhered the decorative paper to the card and then the vellum leaves. I colored the Flower image with the watercolor pencils from the kit. Here, I used a Blender pen to spread the pencil color around and blend the two colors. And adhered the ribbon to the back. The word piece is attached using Stampin’ Dimensionals. The picture shows the finished card and stamped envelope, along with the extra items I used to augment The Lots of Happy Kit. A great kit, in a great box, with lovely Stamps and pencils. Have you ever gotten into a creative slump? You want to stamp or you need a card for a special occasion, but you just can not think of what to do? Card Sketches are the answer to this. Try looking at a sketch and then try to figure out what you have in your own personal stash would work with will get your creative juices flowing. Here’s a sketch I found today. Here is a fairly simple sketch that I decided to use. I immediately had some ideas of what to do with it. It didn’t take long before I decided to use some of my Occasions Catalog and Sale-a-Bration products, along with some Annual Catalog products, to create a design. I used the “You’re Inspiring” stamp set from the Occasions Catalog to create the central image of those beautiful daffodils. And you know, of course, that daffodils aren’t just yellow. I chose to make something a bit different, and used my Calypso Coral and Old Olive Stampin’ Blends to color this large stamped image. It was easy to find a Calypso Coral and Old Olive design in the Stampin’ Up! Annual Catalog’s Designer Series Paper, Delightful Daisy. Once I found those papers, I added in a background of Old Olive Cardstock texturized with the brand new Sale-a-Bration product, Basket Weave Dynamic Textured Impressions Embossing Folder. What a great complement to the stamped layer and the Designer Series Paper banners. I finished the card using a sentiment and frame from the Annual Catalog’s “Rose Wonder” Stamp Set and the coordinating Rose Garden Thinlits. I set this sympathy sentiment off by adding in pieces of the Calypso Coral 1/4" Ombre and Pear Pizzazz 3/8” Shimmer Ribbon behind. Let’s see what you’d do with this sketch! It’s a great way to get you going on your creativity today. 1. Adhesives – the backbone of all creation. If you don’t have adhesive how are you going to hold together that special project you are making for a friend or loved one. Stampin’ Up! offers a variety of adhesives – Fast Fuse, SNAIL, Fine-Tip Glue Pen, Multipurpose Liquid Glue, Mini Glue Dots, Tear & Tape Adhesive, Stampin’ Dimensionals in two sizes, foam adhesive strips, and the newest adhesive Multipurpose Adhesive Strips! 2. Silicone Craft Sheet – goes hand in hand with your adhesive. Using this mat will aid you when applying adhesives of any kind. No more paper stuck to the table! 3. Bone Folder – This awesome dull-edged hand tool is used to fold and crease cardstock providing a smooth and crisp fold. Don’t get fooled by the size of this little hand tool; it packs a heavy punch. 4. Paper Snips – These small scissors provide expert cutting even in small areas. Think about having two – one for paper, one for ribbon. By doing so, you will preserve the precision-ground tips that cut to the end of the blade. These should last you years and years of assistance. 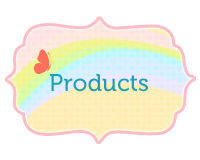 All of these wonderful tools can be found in my Stampin'Up store. Just click on "Shop Now". Cake Soiree is such a versatile suite. The Specialty DSP paper is to die for and the plastic design masks and paste fit perfectly over the cake shape. I have made several cards using different options and techniques to show you the multitude of possibilities with this bundle. The center card above shows the beautiful Berry Burst ribbon with silver sparkled edges coordinating with the Sweet Soiree Specialty DSP. There are also two new colors of embossing paste to help decorate your cake. This great bundle can be used for many occasions. If you don’t purchase anything else from the 2018 Occasion Catalogue, the Cake Soiree Bundle and coordinating suite are an absolute must!!! Go to my on-line store by clicking on "Shop Now" and order your set now. If you order this bundle now, you also get a free Sale-A-Bration item! This last until March 31, but order now so you don't forget. 1. Set your $$ budget. 2. Make a list of what you’d like to have by categories: tools, cardstock, inks, accessories, embellishments, etc. 3. Decide if you want to stay in one color family or more than one. Coordinate your purchases by color. 4. Prioritize each category into sections: must have, good to have, not needed immediately. I usually put the emphasis on tools, because so many projects rely on basic tools, like a trimmer, to get the best result in your finished project. 5. Check around your house to see if you have substitutes for some basic tools, as an example, you might have a pair of scissors that will serve until you can purchase a better pair, or, in a pinch you can sub a pushpin for a paper piercer. 6. Look at ways to get more out of your cardstock:  After cutting your cardstock or designer series paper layers, die cut shapes out of the center of any layers that will be covered by another. Not only will you have some die cuts for a future project, but no one will ever know that you used the center of a layer.  Tie a bow BEFORE cutting the ribbon, thread, or baker’s twine off the spool. You won’t waste as much!  If part of a die cut will be covered, let the framelit or thinlit hang off the edge of the cardstock or paper and cut a partial die cut.  Punch shapes from cardstock scraps.  Use left over ribbon scraps to create a design on a project. 7. To avoid duplicating supplies, keep a list of what you have and as you use it, convert that list into a shopping list. 8. Store your cardstock and Designer Series Paper in file drawers or another dark area. Sunlight and heat are paper’s worst enemies! 9. If your state has an annual back to school sales tax break, take advantage of it to stock up on adhesives and other items that may be covered.